The complete genetic code book of a person who lived 4,500 years ago in Ethiopia was completed by US researchers. Although much older genomes have been sequenced, like those of 38,000 year-old Neanderthals, samples from African forefathers have proven difficult to sequence as the DNA is often destroyed by accelerated decay, driven by tropical conditions. As such, this is the first time a complete genome retrieval was performed from an ancient human in Africa. In this light, the findings are very important: they suggest even older DNA could be retrieved – maybe even millions of years back to the age of other species of the homo genus. After a creature dies, enzymes start breaking down the nucleotides (genetic letters) that form DNA and bacteria and other microorganisms speed the decay. If water is present – and it almost always is, especially in the soil where bodies are buried – the nucleotide bond disintegration is even faster. Previously palaeogeneticists discovered that DNA has a half-life of 521 years, meaning after 521 years, half of the bonds between nucleotides in the backbone of a sample would have broken; after another 521 years half of the remaining bonds would have gone; and so on. Considering ideal preservation conditions like −5 ºC temperature, DNA could be readable for 6.8 million years. In practice, it starts breaking down much faster becoming barely usable after just 1.5 million years past which the remaining strands would be too short to give meaningful information. It wasn’t until scientists had found clever ways to stitch together DNA fragments that genome sequencing of ancient fossils really took off. Humans in Asia and Europe who lived tens of thousands of years ago had their genetic makeup analyzed, and this way scientists had been able to retrace migration patterns and understand how populations mixed together and moved from place to place. One of the most important study to do this was led by Ron Pinhasi, an archaeologist at University College Dublin, who found that the best place to look for genetic makeup is the bone surrounding the inner ear. It’s quite remarkable how much you can tell from a person’s DNA. Case in point, you can retrieve valuable information not only of the individual himself but also his lineage. For ancient Africans, however, this has proven problematic because the tropical conditions obliterate DNA. 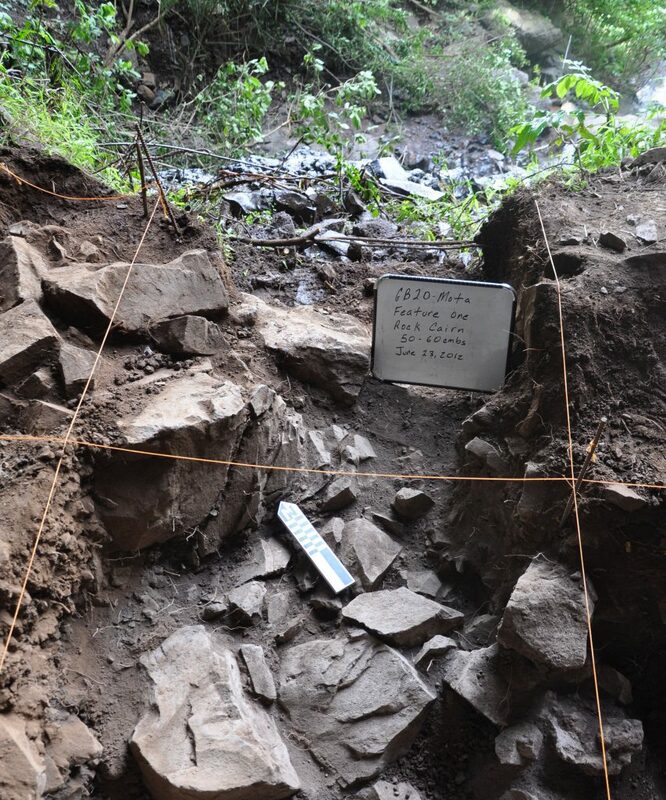 Luckily, John W. Arthur and Kathryn Weedman Arthur, archaeologists at the University of South Florida were able to find a mint conditioned specimen at the Mota cave, in the highlands of southern Ethiopia. They sent the inner bone of the ancient Ethiopian man to Pinhasi hoping he might be able to tell them something. To everyone’s surprise, Pinhasi was able to extract the man’s full genome, who lived and died around 3,000 BCE. “What we were able to get is a few very high quality undamaged DNA from which we could reconstruct the whole genome of the individual”, said senior author Dr. Andrea Manica from the University of Cambridge’s Department of Zoology. Apparently the man from Mota had brown skin and brown eyes, and also bore the same genetic adaptations found in modern day Ethiopian highlanders that helped them cope better with the lower temperature and oxygen levels. What’s most interesting is that the Mota man didn’t have any trace of Indo-European DNA, despite modern day people in Nigeria have 7% Indo-European DNA and the Mbuti pygmies who live in the rain forest in the Democratic Republic of Congo have 6%. This implies two possibilities: either the Mota man was part of a tribe who had managed to stay isolated from other tribes, local or foreign, and bred only among themselves or, more likely, Indo-Europeans hadn’t arrived in Ethiopia 4,500 years ago in what’s called a backflow. Initially, humans left Africa between 100,000 and 50,000 years ago settling in Europe and Asia. Then some populations, which became genetically distinct, came back to Africa and bred with the native African populations causing a genetic backflow. To know for sure, the Arthurs and Pinhasi should retrieve more DNA from ancient Africans.